According to The Weather Channel, the situation in Mozambique remains "dire," with children clinging to rooftops. The United Nations Food Agency says the emergency is getting "bigger by the hour." "People are absolutely desperate. Over a thousand people have lost their lives. There are bodies floating in the water. We sent a team before this cyclone hit from Iris Relief. 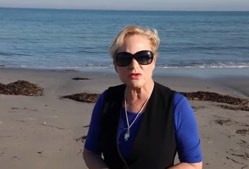 They are on the ground ... being the hands and the feet and the heart of the Lord right now in this crisis," Heidi says. The flooding reportedly resembles "inland oceans." 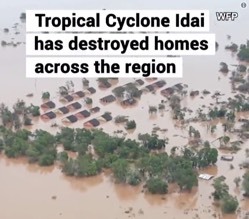 "We are talking about a massive disaster right now where hundreds of thousands—in the millions of people—(are) potentially affected," said Jens Laerke from the UN Office for the Coordination of Humanitarian Affairs (OCHA). "We need all the logistical support that we can possibly get." Although floodwaters have reportedly begun to recede in Zimbabwe and Malawi, allowing some people to return home, the World Food Program (WFP) warned that Mozambique is facing "a major humanitarian emergency that is getting bigger by the hour." Amid the humanitarian response, heavy rain is continuing and more is forecast, according to Clare Nullis, spokesperson for the World Meteorological Organization (WMO). "The Mozambican President is quoted as saying they are fearing there are more than 1,000 casualties," she said. "If these reports, these fears are realized, then we can say that this is one of the worst weather-related disasters—tropical cyclone-related disasters—in the Southern hemisphere." Click here to watch the video for Heidi's full briefing.